They were a prime example of legalism in action. In the Pharisees’3 particular way of life, who they were determined what they did, and that resulted in how they lived. 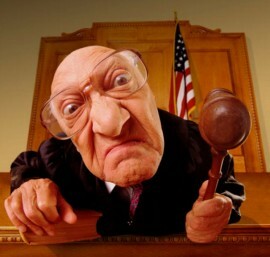 Legalism is a master by which all other things are judged and directed. Legalism is not just one area of a person’s life or a sub-category of one’s existence. Legalism is not the Israelites following God’s mandated laws, which He set up for them, such as the Levitical system or the Torah. Legalism is not following God’s direction as given in His Word, the Bible. Legalism is not a company’s policies and procedures utilized for workplace safety, honesty, and uniformity. Legalism is not a group’s designated rules to protect the group from internal or external abuses and to keep the group focused on its established mission. Legalism is not the rules of a family or church that are meant to protect the members from others or even themselves. Legalism is when an individual or group takes it upon themselves to determine what is right for others, and go beyond Biblical, just or right rules in an attempt to enforce they’re own standards or preferences, all in an attempt to control people. Legalist can and do use the Bible to exert their rightness, but it is used as a tool, their true interest is being right or having control, and more often than not they don’t even realize that they are USING God’s Word is a means to a (their) end – they are abusing the Bible. Legalism acts like it is concerned for others, but in reality this is only a false performance (fooling perhaps both the audience and the actor), to cover its own ego-centered power trip. Legalists lead for the sake of power and control. Legalism seems rational to the one wielding it, due to its apparent rightness. The recipients of it do not view it the same. Legalists do what is right in their own eyes,5 and can thus validate their actions and thus their behavior. They can justify their legalism and be willfully blind6 to its presence at the same time. They refuse to see how legalism affects others. Legalism strives to survive at any expense because it serves a greater cause. The Legalist is usually unwilling to admit this motivation, or is willfully unaware of it. The real purpose of Legalism’s existence is to protect its master, pride. Pride’s base root is self-love, or putting self before all else. Especially in the presence of others,13 we tend to either inflate ourselves, to gain other’s approval, or deflate ourselves in order to get others to reassure us we are not that bad. Pride loves attention,13 and often will do anything to keep the attention on itself (the person), whether the attention is good or bad. Pride is the most dangerous form of self-centeredness, because it can be so skillfully concealed. This does not mean that some self-centeredness or narcissism won’t be apparent to all. Self-love manifests itself in many ways and can seem very deceptive. It can even be seen in what appears to be the love of a parent for their child, but in reality is the parent living through the child vicariously, in some cases only obvious on the child’s football field. Unfortunately, the treatment of a child can reflect a parent’s pride of life,14 the same as: affluence, possessions, career, and social position. Pride rarely feels comfortable when it is seen for what it is. It is also uncomfortable in the presence of humility, graciousness, true nobility (noble character, which mandates humility, other wise it is simply excellence or achievement) or committed believers. One of pride’s most notable traits is that it must always be right. Being right makes pride feel good about its self. Somewhere deep inside, however, a person knows there is something wrong. They put their own principles before all else,15 but in reality they just want to be right at any cost. If these principles conflict with their own will or actions, they can readily produce a rationale to excuse themselves. However, they may believe in these principles so strongly that they can feel it is alright to lie,17 steal and kill,18 to protect them. This is a type of “the ends justify the means” kind of mentality. This facade of righteousness (let us humbly remember, “that all our righteousness is as dirty rags,” Isaiah 64:6), when closely examined, will expose a lack of integrity. He not only does the right thing, he does it the right way. Commonly, when a man is a legalist and therefore full of pride, he egotistically and arrogantly asserts his opinion. That kind of legalist is easy to spot. However, many times the strong, silent type may be just as legalistic, although perhaps more concerned with appearance and self disciplined, therefore more difficult to detect. Legalism and pride, although perhaps well hidden, are always signs of the desire for control and power. As many people in the world who perceive themselves to be enlightened would like to assert, self-centeredness (the ultimate form of pride) is simply a survival tool,24 used to ensure that we take care of ourselves. What those same individuals don’t say,25 know,26 or believe,27 is that this “survival instinct” came because of man’s sin and rebellion against God. It has started more wars, killed more people, and brought more pain into the world than any other sin known to man. The world may feel pride is right and good,29 and that it is a noble cause (an example is, “The Few, The Proud, The Marines”), but the Church of Jesus Christ has been made of less effect by its presence. Pride exists in the church today under many disguises. 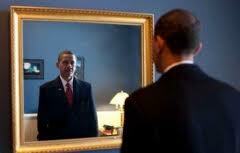 Another disguise is pretending to be humble, hiding pride so the pretender maintains creditability and therefore power. A very common disguise of pride is to draw attention to ourselves,37 through performing “specials” during the worship service. Now in a majority of churches they are the audience, watchers waiting to be entertained, with emotionally uplifting performances and carefully calculated services. Exclusively positive songs are chosen for congregational singing, which is the only point of involvement for most of the members. The most damaging cloak of pride in our churches today is legalism. Legalism drowns grace and makes a church and its members either less effective or ineffective in their outreach to a sinful and dying world. Grace is the lack of pride. It along with humility and forgiveness, gives life. As believers, we like to think we are gracious to people, but if we are legalists our grace is fraudulent. Legalism and grace are opposites, and can’t live equally in the same person. It keeps proud preachers in the pulpits, manipulative deacons on church boards, and controlling elders in power. Pride and legalism have left an immensely devastating influence on individual members and their families. A married Christian man has a God-given resource for showing him his pride and helping him to deal with it, his wife. She is closer to him than anyone else and can give him insight about his true nature. She sees what no one else is allowed to see, and what her husband can’t or won’t see in himself. In order for this resource to be helpful and not dangerous, a Christian husband will need to be sure that his wife is a believer, and mature enough to be unbiased. If she does not have the discernment necessary for such a task, he should not seek her advice. He must also be aware that the health and strength of their marriage must be strong in order to receive a completely honest response. His wife may not want to hurt his feelings, or she may feel her husband is not really sincere in his question. She may tell him what she thinks he wants to hear. The husband must be totally ready for this kind of examination and to be able to hear and learn from his wife’s answers. If he is not, he should not put her on the spot by asking her insights and then either discount her opinion or use it only to reassure himself that he’s okay. This step should only be done after much prayer and soul-searching. A Christian man’s wife can also be a great aid, due to her position as his mate, to give him the opportunity to put her before himself. The husband is to put his wife first and give himself for her. He must place her needs before his own. Husbands should closely examine their hearts and actions in the light of God’s Word, and question their true motivations. Every time that a Christian husband chooses to put his wife before himself, he gains a little more ground in the fight against his own self-centeredness, pride, and legalism. He must be willing and ready to experience the pain he will feel as a result of the exposure and sacrifice that must precede growth. An effective tool in detecting legalism and pride in our lives is an honest self-examination. We must peel back the reasoning we use to rationalize our actions. Legalism cannot stand close examination or critical questioning. Pride hides in the corners of a person’s life and avoids the light of critical inspection. To uproot legalism, it must be identified and confronted as the sin of pride that it is. We are told by Paul in II Corinthians 13:5 to “Test ourselves to see if we be in the faith; examine yourselves” (NASB, also v.7). In the New Testament, the Greek word for faith is used as a verb more than 80% of the time. A verb is an action, or something we do. When faith is real, it affects how we think and what we do. Our actions change because of what we now believe. If we actively believe something, it causes us to do things differently than we normally would. Things that our carnal nature wouldn’t choose46 to do on its own. In the above Scripture, Paul does not use the verb form of faith. He doesn’t tell us to test (examine) ourselves to see if we be in faith, but rather “… if we be in the faith”. He uses the noun form of the word faith. In this case, faith is a thing. This is confirmed when Paul uses the adjective (the article), “the,” which indicates he is speaking about a thing or object. The faith, which is a noun, can refer to the Christian Church as a movement or the beliefs that make it up. In this case, Paul is referring to the movement’s guiding principles, its teachings and beliefs. Paul is asking if we are walking daily with and in Christ. God through Paul directly commands (in the Greek, it is in the imperative, which is a command) that we should ask ourselves the same thing. We ought to daily scrutinize our walk to see if it follows, what the Bible says about what a Christian should be and do. When we stop the rationalization and excuses and honestly see our true motives and actions, it will be embarrassing and painful. Embarrassment is a sign that pride is being attacked. But we must ask hard, critical questions of ourselves. Is it more important to be right or to do what is right? Our love for others must put them first and ourselves last. We all have pride fighting to control our lives. We must do acts of putting others first to weaken pride and to destroy the hold legalism can have on us. If we keep doing things to protect pride, we will become proud. If we keep being legalistic, we will become legalists. However, if we daily51 crucify self,52 we will die to self,53 through the Holy Spirit’s power. The more we do this, the easier it becomes. If we are actively trying to die to self, then we must understand that we are truly dead men. When we are alive in Christ, He can use us for the good of others. If, we must correct them, we do it in love. They will be able to tell that we are on their side, caring for them. Christ said, “if anyone wishes to come after Me, let [an imperative – a command] him deny himself, and take up his cross daily, and follow Me,” (Luke 9:23). A man’s cross is the instrument of his death. It is a tool to kill self, and should be used daily. We need to make a daily commitment to die to self by sacrificially giving to and for others. One aid in dying to self is to stop trying to impose our will on others by demanding our own way and rights. We must be more flexible with our time and resources, and seek to cause others to be blessed by God through their contact with us. Putting others first causes us to utilize the maturity that God teaches us through life’s hard lessons,62 which are individually tailored for us. This indicates that God personalizes our means to victory while going through trials. It is He who gives us the ability to do what He has already commanded for us to do in His Word. We are commanded to give our time, our money, and ourselves. Pray daily. Seek God’s will, guidance, and power to overcome pride, legalism, and self-love. Seek His strength to die to self. Study the Word of God. We are told by David (“Thy word have I hid in mine heart, that I might not sin against thee” 94) to hold God’s Word in our heart, study to hold the Bible in your heart. “All Scripture is given by inspiration of God, and is profitable for doctrine, for reproof, for correction, for instruction in righteousness, that the man of God may be complete, thoroughly equipped for every good work” (II Timothy 3:16,17; NKJV). “For the word of God is living and active and sharper than any two-edged sword, and piercing as far as the division of soul and spirit, of both joints and marrow, and able to judge the thoughts and intentions of the heart.”(Hebrews 4:12; NASB). “Let the word of Christ richly dwell within you, with all wisdom teaching and admonishing one another with psalms and hymns and spiritual songs, singing with thankfulness in your hearts to God.” (Colossians 3:16; NASB). Christ said: “You search the scriptures, because you think in them you have eternal life;[Which He doesn’t refute] and it is these that bear witness of Me” (John 5:39, NASB). “And beginning at Moses and all the Prophets, He expounded to them in all the Scriptures the things concerning Himself” (Luke 24:27; NKJV). Paul said speaking of Christ: “Then I said, ‘Behold, I have come, In the volume of the book it is written of Me, To do Your will, O God.” (Hebrews 10:7, Quoted from Psalms 40:7; NKJV). “ For by Him all things were created that are in heaven and that are on earth, visible and invisible, whether thrones or dominions or principalities or powers. All things were created through Him and for Him” (Colossians 1:16). See ourselves honestly as we are. The hardest part of dealing with pride and legalism in our lives is being open enough to see what the Holy Spirit would desire to show us about ourselves and the true motivations of our heart. We need to start questioning our perception of those motivations. We must critically question the reasons we give for our actions. We are told, “all of a man’s ways are clean in his own eyes” (Proverbs 16:2; NASB). We must also remember that “the heart is incurable and wicked, who can know it” (Jeremiah 17:9, NASB). Do what the Holy Spirit shows us we can do. It is in the doing, (which simply means practice) that we develop the discernment, enabling the Holy Spirit to weed out the evil in our lives. As Paul says: “But solid food is for the mature, who because of practice have their senses trained to discern good and evil” (Hebrews 5:14; NASB). We must understand that dying to self is choosing to allow God to empty us of our self-centeredness. To renew our mind is to focus solely on God, His will, His ways, for His glory86 – we do this by focusing on God’s Word. Dying to self, uprooting legalism and pride out of our lives, and offing ourselves up for Christ’s service will cost us everything, and will be painful. To conclude, there will be two types of sinners in hell, those who refused to believe and trust in the Lord Jesus Christ, and those who acted like they did (Matthew 7:21-27 ~ fakers vs. doers). In both groups pride was a tool in their down fall, and in the latter group legalism was its unfortunate disguise. 2. Matthew 23;1-36; Mark 2:24; Luke 13:14; John 5:10; Acts 15:5. 3. How much alike are the Pharisees and the men of these last days, II Timothy 3:1-9. 4. Matthew 20:25-28;23:11,12; Mark 10:42-45; John 13:14-17; Luke 22:25-30; I Peter 5:2,3. 11. Isaiah 14:13; I Timothy 3:6. 14. I John 2:16; James 4:16; (NASB). 16. II Peter 1:20; (NASB). 19. James 2:10; Galatians 3:10,11. 20. Luke 11:42; Matthew 23:24. 30. Mark 12:30; Revelation 4:11;5:11-13. 31. Mark 12:31; Leviticus 19:18; Galatians 6:9,10. 33. Colossians 1:16-18; Ephesians 1:20-23; Revelation 5:11-13; Philippians 2:9-11. 34. Philippians 2:5-8; John 13:12-16. 35. Proverbs 11:2; Matthew 23:12; (NASB). 36. Matthew 20:25-28;23:11,12; Mark 10:42-45; John 13:14-17; Luke 22:25-30; I Peter 5:2,3. 37. Matthew 23:5-7,14; Mark 12:38-40. 38. Hebrews 3:1; 12:2; Colossians 3:1-4; Romans 8:5; Isaiah 26:3. 43. Matthew 23;1-36; Mark 2:24; Luke 13:14; John 5:10; Acts 15:5. 46. I Corinthians 2:11-16; Jeremiah 17:9. 54. Ephesians 2:1,5; Colossians 2:13. 58. Colossians 3:10; Romans 12: 1,2; II Corinthians 4:16; Ephesians 4:23, 24; Titus 3:5; (NIV). 59. Ephesians 2:1-10; Colossians 3:1-5; II Timothy 2:11. 62. Romans 5:2-5; II Peter 1:4-8; Romans 8:28. 63. James 1:21; John 17:17. 65. II Timothy 2:24; (NASB). 67. James 1:19-20; Colossians 3:8. 68. I Timothy 6:11; II Corinthians 10:5; (NASB). 69. Ephesians 1:5; Romans 8:11-16. 74. Philippians 2:13; Luke 12:32; Ephesians 1:5,9; II Thessalonians 1:11. 78. Hebrews 3:1; 12:2; Colossians 3:1-4; Romans 8:5; Isaiah 26:3. 79. I Corinthians 2:13,14:37; II Corinthians 2:17, 4:2; I Thessalonians 2:13; II Timothy 3:16-17; Hebrews 4:12; I Peter 1:25; II Peter 1:3-4, 19-21, 3:1-2, 15-16; Jude 3. 80. Colossians 3:5-9; Ephesians 4:22; Romans 6:11. 82. Colossians 3:10; Romans 12: 1,2; Ephesians 4:23, 24; (NIV). 83. Hebrews 3:1; 12:2; Colossians 3:1-4; Romans 8:5; Isaiah 26:3. 86. Romans 11:36; Hebrews 13:21. 87. Philippians 2:5-8 ~ humility. 92. Acts 9:2; 19:9, 23; 22:4; 24:14, 22. Loved this writing on pride and legalism. Working on my pride right now and in turn, pride in the workplace. Thank you.